The confidential cables detailing South Africa's disastrousand knee-jerk reaction to a discussion document prepared by the heads of fivemissions to the country ahead of President Cyril Ramaphosa's investment summitlast year have probably already reached Washington, London, Berlin, The Hagueand Geneva. Those cables would probably have concluded that althoughRamaphosa has told the international investors' community that South Africa isopen for business, the fact is that there is still uncertainty about thisgovernment and country's commitment to foreign direct investment. It does nottake kindly to advice from countries who want to help it emerge from whatRamaphosa has called "nine wasted years" under Jacob Zuma and itcannot give any guarantees about the prudence of foreign capital inflows. Dirco and the ANC's reactions have now caused enormousdamage to Ramaphosa's vision of putting distance between his government andthat of his predecessor. 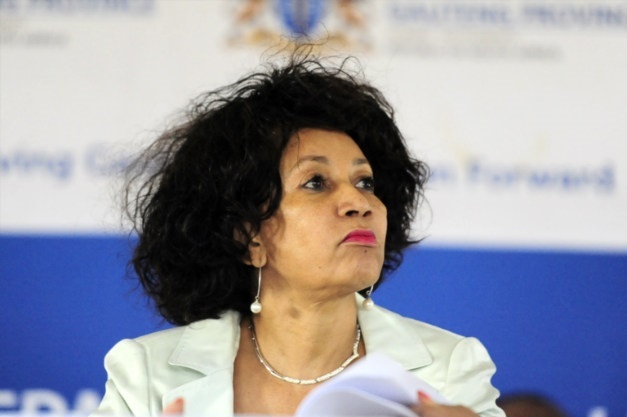 Diplomats, and not only those of the five countriesgiven a dressing down by Sisulu and the ANC's spokesperson Zizi Kodwa, havetaken note of the hysterics and dismissive attitude, which was the standardmanner of communication in the recent past. There was a hope that there was to be a softening of theantagonism shown by South Africa towards the West, but many on the diplomaticcircuit in Pretoria now believe that relationships have suffered more damagethan originally thought. The document that, according to the ANC is evidence of thefive countries' interference and a new form of state capture (one diplomat onMonday quietly enquired whether or not Kodwa's statement was the real thing),had no official status and was even referred to as a "non-paper". Itwasn't printed on an official letterhead and was never officially presented tothe Presidency. Its purpose was to serve as joint talking points whenofficials from five embassies spoke to some of the president's people,including Jacko Maree, one of his five investment envoys, Trudi Makhaya, hiseconomic adviser and Khulu Mbatha, an adviser in the Presidency. Thoseconversations all took place ahead of the investment summit where Ramaphosaimplored big business from across the globe to invest in South Africa. Among the talking points Dirco and the ANC have takenexception to is a commitment from these countries that they share South Africa'svision "of a united and democratic, equal and non-racist constitutionalSouth Africa". It goes on to state: "After years of stagnation andregression of foreign direct investment and transformation parameters we areoptimistic that trust and confidence can be restored and foreign investment canpick up step by step to reach and outperform levels of the past." The ANC however, views this as part of an imperialist plotto recolonise the country and impose a new form of state capture on it, as Kodwa'sflowery and sweeping statement explained. It also seems as if the five heads of mission attended adifferent meeting to the one Dirco's director general Kgabo Mahoai and hisdeputy attended on Monday, given the differences in the statements by the twosides. It was unusual that they didn't issue a joint statement,given that there was general agreement that the talks were positive. But the real sting in the Dirco statement was the referenceto the "demarche" (a diplomatic term that refers to a host countryreprimanding a mission or representative), the reference to Dirco's "displeasure"and the apparent "agreement" about the way forward. The Gang of Five then responded with a statement of theirown, not making any mention of the agreement mentioned by Dirco. The cables sent to the capitals of some of the biggesteconomies in the world would have been clear: Ramaphosa is seemingly willing tosacrifice the goodwill he has built up over the last year so he may appease theconspiracy theorists, reactionaries and Zumaites in the ANC. And for big companies considering an investment in SouthAfrica? They're just going to look elsewhere.